The staff from Ernie’s checked in tonight with an update from June Lake. 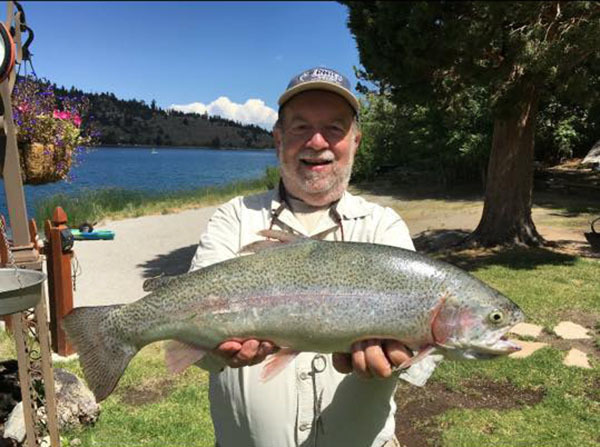 Check out angler Norin Grancell who caught a 4.5 pound Rainbow Trout today using a Tazmanian Devil. 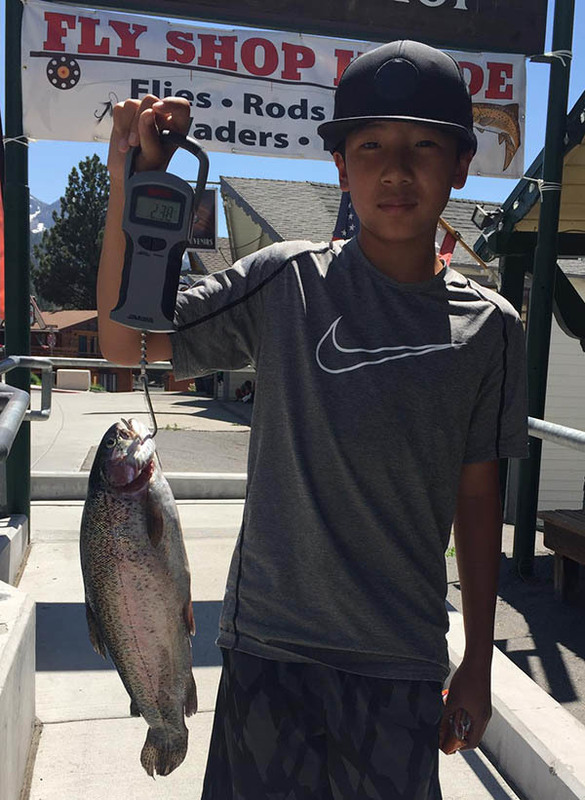 Norin was fishing with Nona who made a perfect net job on this beautiful fish.